For more than 20 years, Dr. Ana Anzola has been helping the communities of Northern Virginia and Maryland with their hearing health care. As everyone's hearing issues, experiences and needs are different, the practice of audiology is a mix of art and science in an effort to find the best solution for each individual. What sets Dr. Anzola apart is the personal attention she gives to each patient to find the absolute best solution, and to make sure the technology is working for you. She truly believes that her job isn't finished until you are completely satisfied with your results. Dr. Anzola received her Doctorate degree in Audiology (AuD) from the Arizona School of Health Sciences, and her Master’s Degree in Audiology and her Bachelor's Degree in Speech Language Pathology and Audiology from Towson University. She has been a fellow of the American Academy of Audiology (AAA) since 1995, board-certified by the American Board of Audiology (ABA), and certified by the American Speech-Language-Hearing Association (ASHA). 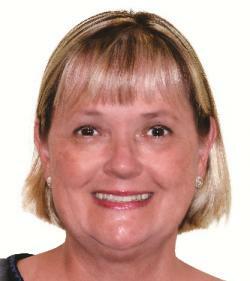 Dr. Linda Himler has practiced audiology and hearing aid dispensing since 1986. She has a broad background of experience and truly enjoys working with all age groups. Bringing people back into the conversations that are important in their lives, and in connection with friends and family is what gives her joy and meaning in her career. She enjoys working in her home community in Loudoun County and looks forward to improving the quality of life of her patients and their families through better hearing. Dr. Himler is certified by the American Board of Audiology (ABA) and the American Speech-Language-Hearing Association (ASHA), and is Board Certified as a Fellow in Audiology through the American Academy of Audiology (FAAA). 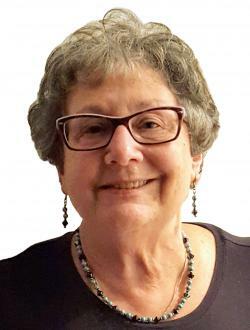 A graduate of Boston University in 1984, she received her Master’s degree in Audiology from the University of Wisconsin-Madison in 1986, ultimately receiving her Doctor of Audiology from Salus University in Philadelphia in 2009. Dr. Himler has had the fortune to work in a variety of work environments including hospital audiology, private practice, a non-profit allied health center and in ENT audiology for 20 years. 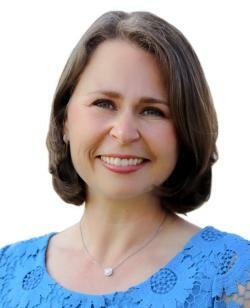 Dr. Thorne first became interested in audiology at a young age when her aunt suffered a sudden hearing loss overnight. After listening to her aunt talk about the experience and how her audiologist gave her back the gift of communication and hearing, Dr. Thorne knew it was what she wanted to do for others. She loves working with individuals of all ages from pediatrics to adults, and enjoys meeting new patients and working with them through the process of hearing treatment toward a life of best hearing. Dr. Thorne will do whatever she can to make each one of her patients happy with their hearing health care. Dr. Thorne is a Virginia state licensed audiologist and is certified by the American Speech-Language-Hearing Association (ASHA). She earned her Bachelor of Arts degree in Communication Sciences and Disorders from Augustana College (Rock Island, IL) and her doctorate degree from West Virginia University. While at West Virginia University, Dr. Thorne wrote her thesis examining the effects of Multiple Sclerosis on hearing health. Dr. Stehouwer enjoys working with patients to provide the best solutions for their hearing needs. He has experience with most manufacturers’ hearing aids and accessories, as well as other assistive listening devices, and is adept at matching the most suitable solution for each patient’s particular type and degree of hearing impairment, as well as their activities, lifestyle and budget. Dr. Stehouwer always likes to ensure that his patients receive the best care and hearing outcomes by following best practices, making careful measurements and diagnoses, and being as thorough as possible with each and every patient. Dr. Stehouwer received his Bachelor of Arts (B.A.) degree from Calvin College in Grand Rapids, MI, and earned his Doctor of Audiology degree (Au.D.) from Western Michigan University. He completed his doctoral externship at the San Diego Veterans Affairs Clinic. 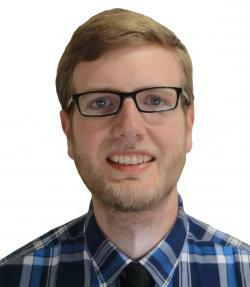 Dr. Stehouwer is licensed to practice Audiology in Virgnia and Maryland. He is certified by ASHA, the American Speech-Language-Hearing Association. Dr. Scott enjoys working with patients to manage their hearing healthcare needs by performing hearing evaluations, hearing aid and custom ear product fittings, and repairs, as well as specialized testing of the inner ear and auditory nerve. Dr. Scott is fluent in Spanish. Dr. Scott completed his undergraduate studies at Brigham Young University in Provo, UT, where he earned a Bachelor of Science degree in Communication Disorders. He completed his Doctorate of Audiology at the University of Washington, one of the nation's top ranked audiology programs. 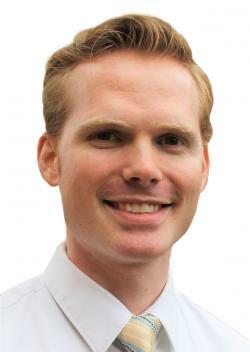 Dr. Scott is a licensed audiologist and hearing aid dispenser in the state of Virginia. He is a member of the American Speech-Language-Hearing Association (CCC-A) and a fellow of the American Academy of Audiology. Dr. Rorrer has a variety of professional interests with a strong focus in adult and pediatric diagnostics and amplification, as well as tinnitus treatment and counseling. 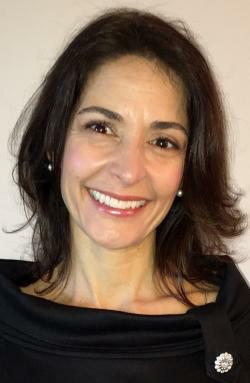 Prior to her doctorate training, Dr. Rorrer gained valuable experience working at the Georgetown University Hospital testing the hearing of newborn babies. Dr. Rorrer earned her Doctor of Audiology degree from A.T. Still University in Arizona, where she gained experience across a wide assortment of clinical specialties, including adult, geriatric and pediatric diagnostics for hearing and balance disorders, and treatment for hearing loss. Dr. Rorrer holds a Maryland state license to practice audiology, and is certified through the American Academy of Audiology, and the American Speech-Language-Hearing Association (ASHA). Dr. McQueen has a diverse audiology background, having worked with hearing loss, dizziness, and balance-impaired populations. 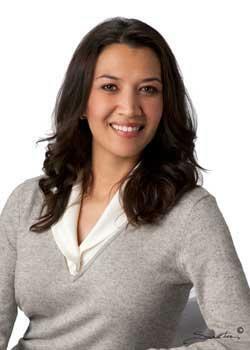 Additionally, she has served as the Director of the Newborn Hearing Screening Program for a 4-hospital system. Dr. McQueen enjoys working with patients of all ages, and looks forward to working with you to improve your hearing and communication with your family and friends. Dr. McQueen is a Virginia state licensed audiologist and is certified by the American Speech-Language-Hearing Association (ASHA). 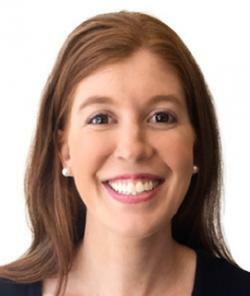 Dr. McQueen received her Bachelor of Arts degree in Speech Language Pathology from Butler University, and her Master's degree in Audiology from Purdue University. She earned her Doctoral degree in Audiology from Salus University. With over 40 years of experience, Dr. Schwartz is committed to providing every patient with the latest and most advanced hearing healthcare available. Dr. Schwartz is a licensed Audiologist in the state of Maryland. She’s also an active member of the Maryland Academy of Audiology, the American Academy of Audiology, and the American Speech-Language-Hearing Association (ASHA). Anisa is a graduate from Towson University with a Bachelor of Science degree in Speech Pathology and Audiology, with a minor in deaf studies. Anisa has several years of experience with American Sign Language (ASL), and serves as Ascent’s ASL interpreter for in-person and telehealth appointments. Anisa is very passionate about hearing health, and is always seeking to find new and innovative ways to care for each individual need. "I want to provide the best experience possible for every patient. I am excited to meet you!" Theresa graduated from Marymount University in Arlington, Virginia with a Bachelor of Science degree in Health Sciences and a minor in Public Health. 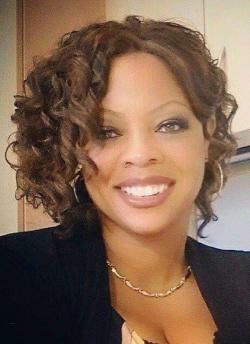 She is passionate about improving people’s lives by helping them to achieve optimal health and wellness. Theresa has several years of customer service experience, and she’s driven with a smile and positive attitude to provide the best experience for patients every day. Lucia recently graduated from Virginia Commonwealth University with a B.S. in Health Sciences and a minor in Psychology. She has previous experience working as a Patient Care Coordinator and Therapy Technician in physical and occupational therapy settings. Lucia enjoys working one-on-one with diverse patient groups, and learning more about each patient’s unique goals. 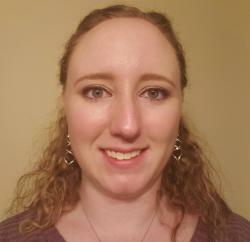 Abigail graduated from Nazareth College in Rochester, New York with a Bachelor of Science degree in Communication Sciences and Disorders with a focus in Audiology. She is driven to help others gain access to necessary resources in order for them to succeed and excel. Abigail has several years of experience in customer service as well as in a public school setting. “I look forward to meeting patients and understanding their needs so I am able to provide the best services possible”. Katie graduated from Colorado State University - Global with a Bachelor of Science (BS) degree in Business Administration. She has several years of experience in customer service, and is very passionate about helping people in any way possible. Jeanette has worked in the health care field since 1998. As our Health and Wellness Director, she works with our health care partners to bring the best solutions for your hearing, and to ensure that patients get the coordinated care they need. She is committed to helping our Doctors of Audiology provide excellent service with a smile, every time. Whether helping you over the phone or in the office, she strives to make every interaction as helpful and pleasant as possible. From scheduling appointments to answering insurance questions, Jeanette is there for you every step of the way. "I look forward to meeting you and helping you achieve your hearing health care goals." 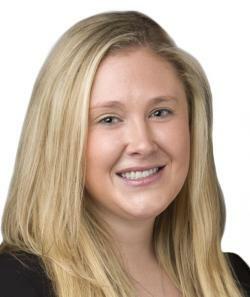 Nicole joined the Ascent team in 2013 as a Clinical Audiologist in our McLean office. Currently, as Ascent’s Corporate Wellness Liaison, she strives to educate our corporate partners about the effects of hearing loss in the workplace. Nicole graduated from St. Joseph’s University, Philadelphia, PA with a Bachelor of Science degree in Biology in 1993. She then went on to complete her Master of Science degree in Audiology from the University of Nebraska – Lincoln in 1998. She holds the Certificate of Clinical Competence from the American Speech-Language and Hearing Association (ASHA). Charlotte started working with Blue Cross Blue Shield customer service in 2007 where she handled benefits and claims inquiries and reviewed claims, making recommendations for payment or adjustment. As a Personal Benefits Representative, Charlotte handled inbound calls regarding health and insurance benefits, as well as enrollment for new health and insurance plans. At Ascent Audiology, Charlotte coordinates the hearing health program with retirement facilities. Raiza has a variety of experience in the medical field, including as a registered nurse, medical virtual assistant, medical abstractor, and healthcare associate for Aetna Provider Services, handling inbound calls for eligibility, benefits and claims status. At Ascent Audiology & Hearing, Raiza helps to facilitate the health and wellness program with various facilities in our community.